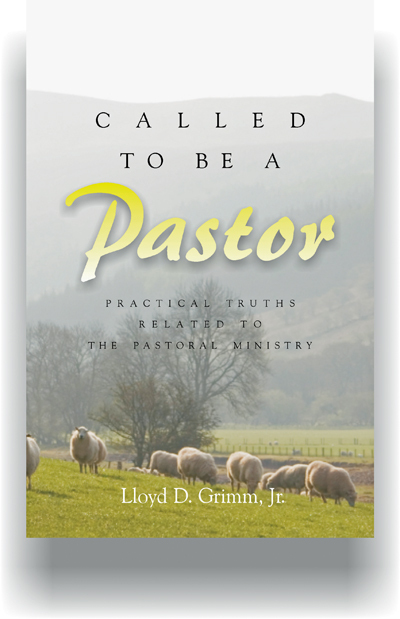 Wesleyanbooks: Called To Be A Pastor By Lloyd D. Grimm, Jr.
Called To Be A Pastor By Lloyd D. Grimm, Jr. Since Jesus returned to his Father and left ordained elders to tend his sheep, Christians have understood that a true pastor does not simply “decide to make a career” out of the local church; real pastors are truly called by God himself to carry on the work of Christ. But this ancient and honorable art is becoming a lost skill, often buried under a tide of mediocrity or a desire to “just be one of the guys.” Many new pastors enter their pulpits well-trained in Greek and homiletics, but woefully short on the knowledge of how to shepherd their flock. Veteran pastor Lloyd D. Grimm, Jr. (author of Sixty-Six Days, Sixty-Six Books and Great is Thy Faithfulness) offers a wealth of practical advice and principles calculated to benefit new and seasoned clergymen alike. The pastor who follows the admonitions of this volume will be eternally grateful for the applied wisdom it embodies.